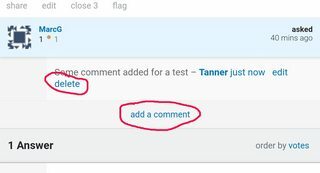 On a mobile device if I add a comment to a post and then delete the comment, the option to add a comment again (to the same post) is hidden. 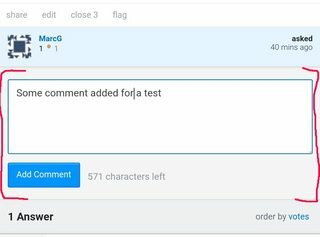 The comment link appears again after the page is refreshed. Issue also present on super user. Not sure if this is by design but seems like a bug. This only happens when there is a single comment on the post and deleting that comment leaves the post with 0 comments. Reproduced on SO and Meta-SO, so safe-ish to say it's across the network. The panel comes back when you refresh page. Android mobile chrome browser viewing mobile website. Browse other questions tagged bug comments mobile-web deleted-comments . Is there a penalty for deleting one's own upvoted comment? 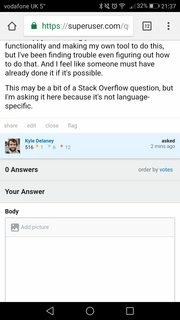 Posting an answer doesn't refresh the page?